Yesterday evening we held a drinks reception in Westminster for potential customers, customers and supporters of the Well-being Measure. Over a glass (or two) of wine, we heard a series of short speeches. Introduced by NPC’s Dan Corry, we heard from Jane Steele, Head of Impact and Evaluation at the Paul Hamlyn Foundation, and from Maria Stephens and Marcus Duran of Toynbee Hall, a customer. Dan Corry started by saying how excited NPC is by the Well-being Measure, and its potential to help thousands of organisations, and hundreds of thousands of young people. He noted how all organisations are feeling the increasing demand to demonstrate their impact, and as public finances continue to be strained, this is only going to get more pressing – particularly in youth services. He argued for shared approaches to measurement which are nuanced and flexible enough to account for individual circumstances – very much the philosophy of the Well-being Measure. From a funders perspective, Jane Steele talked about how being able to quantify and demonstrate outcomes is vital to trusts and foundations. She explained how this makes organisations stand out and how PHF is encouraging grantees to take up the Measure. As customers, Maria Stephens and Marcus Duran of Toynbee Hall said how pleased they had been to find a measure that combines quality, ease-of-use and credibility. Maria gave a short account of how they were able to show improvements in young people’s resilience and life satisfaction, and how helpful this was in reporting their impact to funders. Marcus explained how the Well-being Measure had given him a new language to communicate to schools and the confidence to be able to argue how their work improves well-being. We finished the evening by thanking our all those customers and partners in developing the tool: our customers, including the Outward Bound Trust, Scottish Adoption Agency, Save the Children UK, Brighton Oasis Project, and BBC Children in Need; our funders, the Private Equity Foundation, Paul Hamlyn Foundation, and Esmée Fairbairn Foundation; and the excellent developers at Public Zone. Overall the evening was a great success. To everyone who came – thanks for making it a great event and we look forward to continuing the conversation! 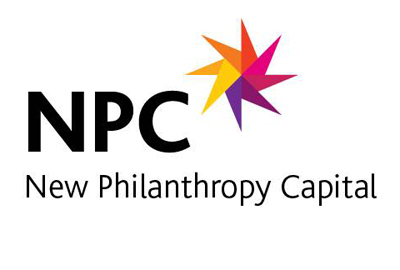 You can get in touch with us by emailing wellbeing@philanthropycapital.org or calling 020 7620 4850.